With over 10 years of experience organizing trips and a professional staff joining youth to a 15 years’ know-how, Enjoy Cuba Tour-operator is very pleased to feature the next big sport event in Cuba. 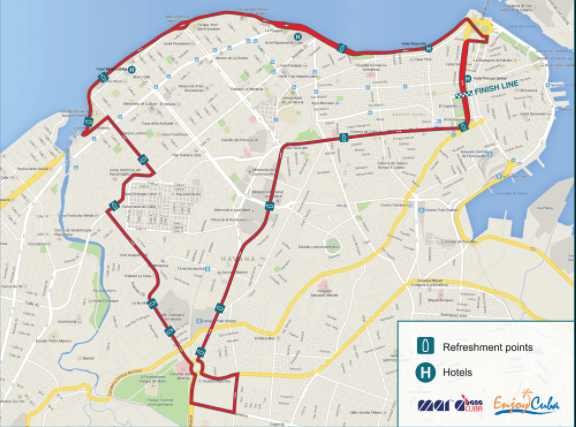 Let us lead you to the Marathon in Havana as part of our social commitment to promote sporting activities and show you at a time how friendly and attractive this Caribbean capital is. The next edition of Marabana will take place on July 13TH , with departure time at 7:00 AM and start line as traditionally, just in front of The Capitol. This major event features four race categories: Marathon, Half Marathon and 10K and 5K, the four of them encouraging physically challenged participants. The open championship is held for all people engaged with healthy lifestyles and the sport, whether elites or not. Welcome to Marabana 2018!